I tried another recipe from Tasty Kitchen and it was awesome!! I started off making the "Shrimp Etouffe' Easy and Delicious" recipe and then started adding leftovers. 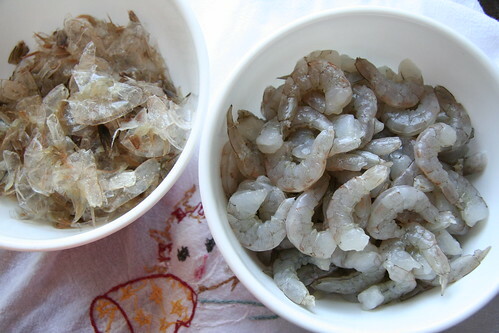 I had shrimp in the freezer and searched the easy recipes (by rating) on TK. The 10 minute cook time and 15 minute prep really caught my eye. I didn't like that there wasn't a picture, but I went out on a limb and tried it. It seemed easy enough and with a 6 week old baby girl, I need easy and fast. I steamed some brown rice in our rice cooker. I LOVE our rice cooker. 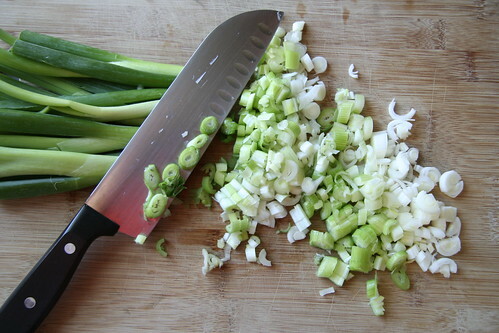 Anyway, I started the rice and began preparing the recipe. I realized I still had frozen okra from the garden in the freezer - so I added a bag of it and cooked it for about 8-10 minutes. After adding the shrimp, I remembered we had an ear of grilled cajun corn leftover - so I quickly cut off the kernels and added those. Then it was time to add the sauces. Stir it all up, serve on rice, and voila, it's ready to eat! I found your blog because I follow your sisters, but I am now obsessed with your blog too! 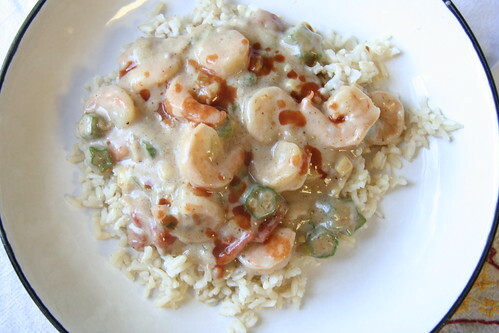 I am from south Louisiana and I can send you a real gumbo recipe and a real shrimp etouffee recipe. Send me your email and I can hook you up with my mom's recipe for both. Ok, Caroline, I'm totally emailing you for those recipes! Thanks for stopping by and for the sweet comment!